In an on-the-go world, mobile businesses continue to flourish. 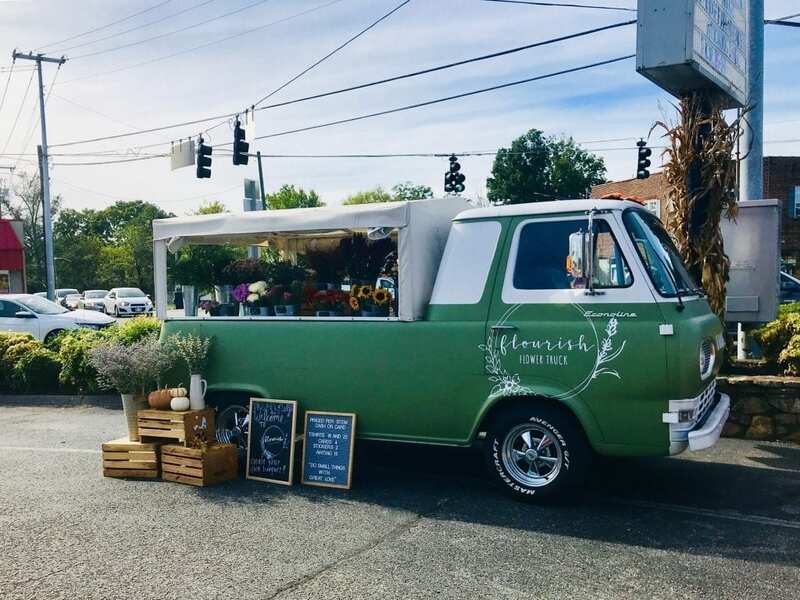 Flourish Flower Truck owner Savannah Pannell capitalized on the budding industry. Pannell works as a Pro Re Nata, an ‘as needed’ or part-time nurse, at an OB-GYN clinic. Even though she studied to be a registered nurse, her heart lies in another field. Growing up, Pannell remembers her mother always had an abundance of flowers in their home. She derived her deep love for flowers as she watched her mother garden. Pannell loves nature; she loves being outside, whether hiking, camping or traveling. 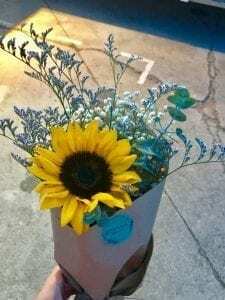 Pannell’s dream of having her own flower truck originated when she visited one of Amelia’s Flowers trucks in Nashville on her birthday in 2017. She followed the owner’s story since day one, and her inspiration for her own truck bloomed. Her husband remained instrumental in the truck’s launch and subsequent success. Pannell said that he takes leaps of faith when she hesitates. Pannell uses flowers mostly from local farmers in East Tennessee; however, she sometimes acquires flowers from wholesalers. She realized filling the truck solely with local growers flowers was unrealistic. So, she gets the flowers when she can from local farmers. Ultimately, she wants to make sure her truck’s fully stocked for customers. Relationships remain important to Pannell, as she creates one with nearly every customer that visits her truck. She greets everyone with a smile and creates a friendly atmosphere for shoppers. Pannell also creates relationships using social media. With more than 5,900 (and growing) followers on Instagram, she’s constantly active on the flower truck’s page. Pannell said that by using Instagram, she really jump started her business and created a buzz in Knoxville. She credits most of her success this first year to the platform. Along with her business, Pannell hopes to grow her online presence in years to come. “I haven’t ventured into the world of IGTV or Instagram live yet, but hope to incorporate that into my business account over the next few months,” she said. With Flourish’s quickly blossoming popularity, Pannell’s schedule grew wild in the last few months. 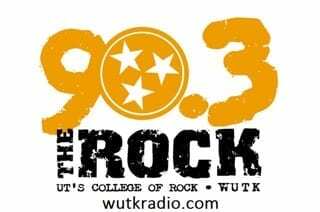 With different locations around East Tennessee three to five days each week and deliveries, Pannell no longer begs businesses to let her park on their property anymore. Pannell wants to expand her flower truck by offering bouquet subscriptions for Knoxville and surrounding areas. Subscriptions would allow customers to have fresh flowers delivered weekly, biweekly or monthly to their work or home. She hopes to have the subscriptions going by winter. Other than subscriptions and personally sourcing her flowers, Pannell does not want to change anything about the way Flourish operates. She loves the reaction from community over the past year. Check out Flourish’s Instagram for truck locations weekly. Next Quiz: What should you be for Halloween?